Which yoga style is right for me? Pre-heat oven to 180°c and line 3 flat trays with baking paper and set aside. Place the almonds and pecans in a food processor and blend for a minute or so until a flour forms. Remove to a bowl and add all the other ingredients, mixing/kneading into a sticky dough. Wearing food grade gloves may be handy here. Next sprinkle a little extra buckwheat/rice flour onto the bench top and your rolling pin and roll ½ the mixture at a time out until it’s nicely thin and perfectly smooth. 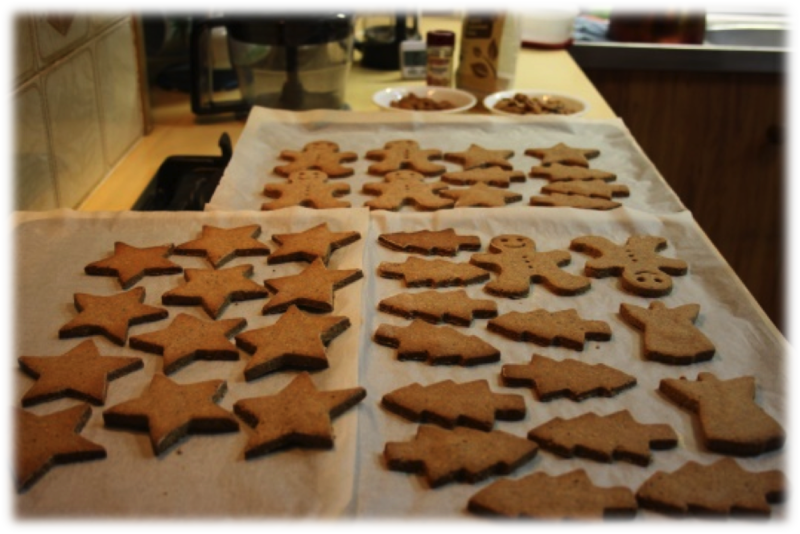 Then use your shape cutter of choice to make biscuits, placing them onto the baking trays to cook. Once you’ve made the first batch, re-roll the remaining dough and continue until it’s all used up. You could make stars, trees, men or bells. Whatever biscuit cutters you have will work. Even animals if it’s not Christmas time. Bake for 15-20 minutes, or until golden, then leave to cool before decorating with icing and currants/goji berries. For the icing just mix the 3 ingredients together in a small bowl. Wellness Chiropractic Care For The Entire Family. $37 New Patient Chiro Offer (Worth $190). You will receive your coupon in 5 minutes by email. Don't forget to show it the day of your appointment.